This week on the show we're discussing parents so mentally ill that they've been convinced by 'progressive' SJW tendencies that they need to ask their infant's 'permission' to pick them up and hold them. We're talking about the recent shooting at the practice field for the Congressional baseball game where 5 people are being reported to have been shot by an apparent #BernieBro (leftist anti-Trump extremist) who it seems was inspired by the rhetoric and ... See More lies of the leftist mainstream media. We get an update on the 'Media on Trial' conference that took place in the UK last weekend and some discussion about the discredited mainstream medias tactics in spinning lies about the presence of US and UK military patrolling, uninvited, on the ground in Syria. 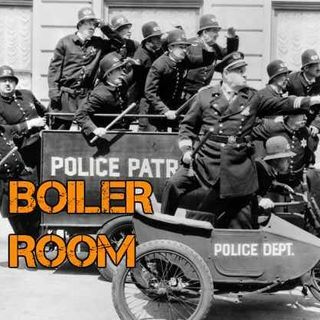 Join ACR hosts Hesher and Spore along with FunkSoul, Miles of Truth, Randy J (21WIRE & ACR contributors), Daniel Spaulding, Infidel Pharaoh, Andy Nowicki and Jay Dyer of Jays Analysis for the hundred and thirteenth episode of BOILER ROOM. Turn it up, tune in and hang with the ACR Brain-Trust for this weeks boil downs and analysis and the usual gnashing of the teeth of the political animals in the social reject club.